There are many ways to win in life, and not necessarily with a university diploma. Nguyen Tien Dung is among a few young people in Huong Son district of central Ha Tinh province who has proved it. 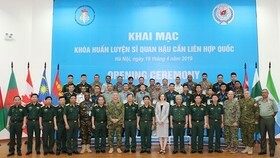 The 24-year-old man received the prestigious Luong Dinh Cua Award in July this year, organised by Ho Chi Minh Communist Youth Union which is presented to young farmers who have made outstanding contributions to agricultural production and rural development. 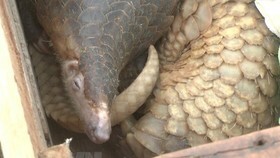 Dung was honoured because he was the first person in the region to develop successfully a large red-meat dragon fruit farm. His farm is also the biggest in the province, said Cao Van Duc, deputy chairman of People's Committee of Son Tay commune (where Dung lives). 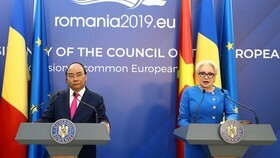 "I hope he will inspire many other young people to courageously find their own way and work hard with passion to develop the homeland," Duc said. Not many people know that before achieving this outstanding result, Dung had experienced quite a few hardships. Three years ago, in 2012, against the advice of his teachers and friends, he left the Hue Science University in Hue city after two years of studies to come back to his native land to find his own way to earn his living. "Since the time I was at high school, I dreamed of getting rich. I thought that studying at university would help me fulfil this dream. But when I went to university, I thought that it was not useful. At university, I only write down what the teachers read and learn those written words by heart at home to get good marks at exams. Moreover, I saw that I was not brilliant enough to study those academic subjects." "I knew that it would be a waste of money if I gave up. But I wanted to stop when it is not too late," he confides, admitting that he was attracted by the calling of the dynamic life outside. 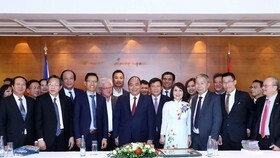 After quitting the university, with a fund of VND400 million (US$17,800) borrowed from the bank and friends, Dung and his friends opened a cafe on Nguyen Hue street in Hue City. But a few months later, the cafe had to be closed because it was not profitable. 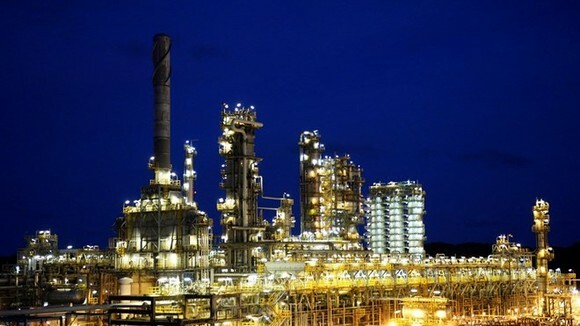 He then traded wood at the Chan May port, in the city's Lang Co district but without success. He got a debt of VND300 million ($13,300). 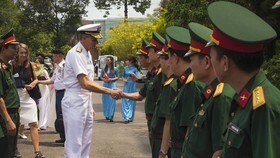 He then continued with multi-level marketing in Hue and Vinh. After only four months, he got a new debt of VND100 million ($4,450). He then had to sell his only remaining asset: his motorbike. He got VND30 million ($1,330). After that, he went to southern Ba Ria–Vung Tau province and found out about red-meat dragon fruit, which he had never heard about before. He bought 200 roots of the red-meat dragon fruit. Back to his native village, he began to grow them in the garden of his house. To his surprise, they grew very well. One year later, he could harvest 1 tonne of fruits and gained VND30 million. 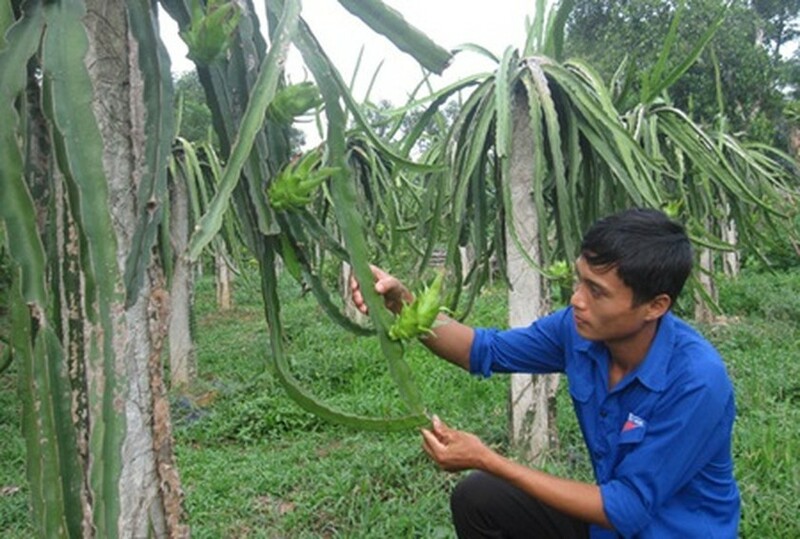 As it's easy to grow red-meat dragon fruits, which can be profitable without big investment, he soon invested time to grow 800 red-meat dragon fruit plants on an area of 3ha. In July of this year, his family could harvest 4 tonnes of red-meat dragon fruits, bringing them VND200 millions in revenue. He hopes that in the next two years, the fruit farm will bring him about VND500 millions in revenue per year. Besides that, he also has 500 chickens, and a dozen cows and goats. This year, he also planted 200 apple trees which are from Thailand. "I didn't have much experience but I learned from agricultural forums and from my parents who are farmers," he said. He has got a number of clients from Ha Noi but also from other cities. The young man also wants to encourage local young people in his region to develop red-meat dragon-fruit farms and has provided the fruits varieties and offered them technical advice. He hopes that many young people will develop dragon fruits to meet the increasing demand of the market. Currently, local people are only interested in growing oranges and breeding deer since oranges and deer have made the region's trademark. "The passion has helped Dung achieve great results. He is very hard-working. He has spent most of his time working in the farms," says Nguyen Thi Thanh Hai, Huong Son district's Party committee deputy secretary. 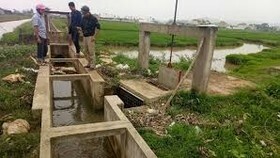 Huong Son district's Party committee encouraged other local young people to follow the model of Dung by enriching himself with their own labour force and intelligence. 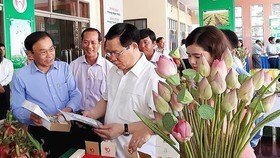 After his visit to Dung's farm, Tran Dinh Chau, chief of the secretariat of the National Council of Education and Human Resources Development under the Ministry of Education and Training, said that his success made people think of different choices for life vocational guidance, to establish their position in life.